Amazon has quietly introduced a myriad of Kindle branded items and accessories. This includes backpacks, coffee mugs, luggage tags, tote bags and umbrellas. 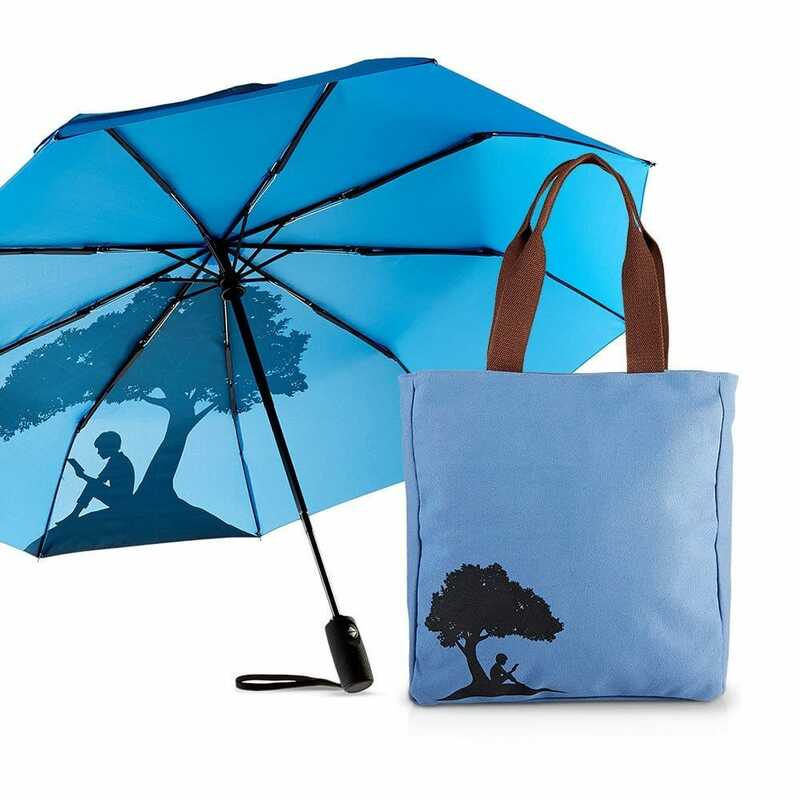 Some of the items are bundled together and they range in price from $25 to $50 and they all feature the quintessential Kindle logo with the person reading a book underneath the tree. This is the first time that Amazon has ever developed products like this and are selling them to US residents, I suppose they are designed to be given away as gifts for Christmas. I wouldn’t mind a Kindle umbrella because in Vancouver and it rains for months at a time. It would serve a dual purpose, keeping me dry and also telling people I dig Kindle e-readers. I really think that people who love reading on their Kindles would likely buy a coffee mug or water bottle to use at work or during the commute. Would you guys buy Kindle branded swag?